This shot was taken in central Nevada while on vacation. it is REALLY dark there – to get this detail in a 2-minute exposure. 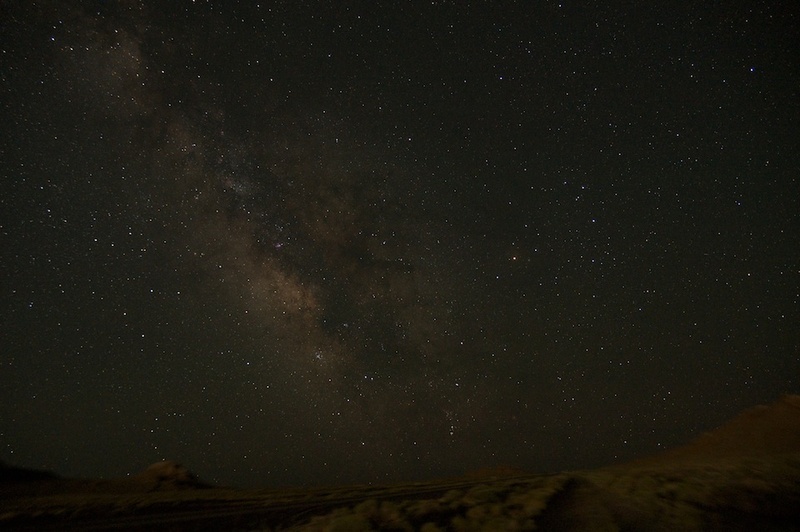 The foreground is illuminated by starlight, and Wendover Utah, about 30 miles away.